As part of my new AWE-someness rating system, I thought I would start reviewing my Around the World dinners and sharing with you my extensive experience arranging group dinners. Each month, I travel the world with a group of friends via London’s restaurants. These Around the World Dinners are a great way to catch up with friends while experiencing the diversity of London’s food scene. 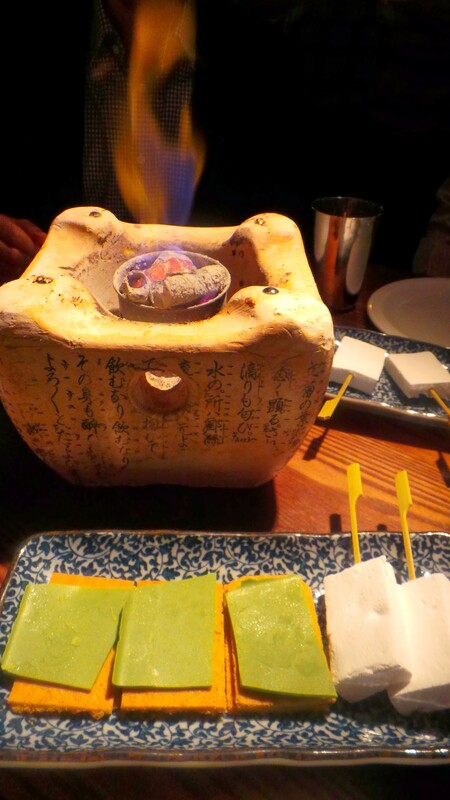 We have been to old and established restaurants as well as to trendy newcomers, as was the case last Friday when we went to Flesh & Buns, a fusion Japanese Izakaya. 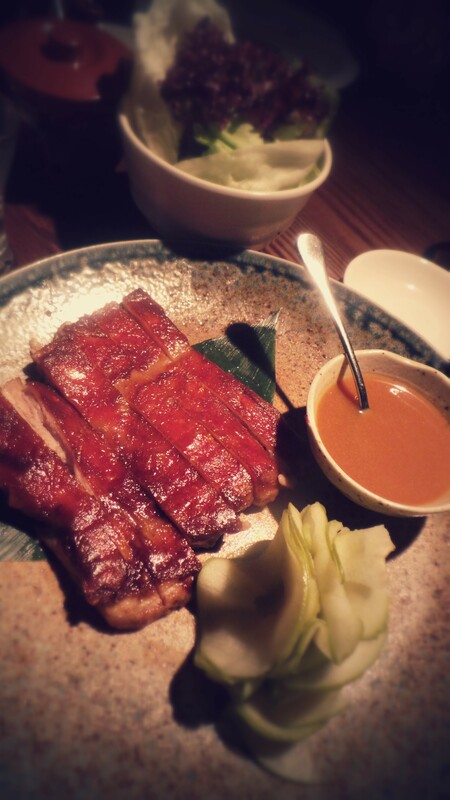 The AMBIENCE of the restaurant is young, hip and trendy. It’s very crowded and the space is tight, but that’s part of the fun. If you come as a pair, you get to sit at the long high table and interact with your fellow diners. As part of a big group you get to sit at large rectangular booths which are perfect for chatting and family style sharing. 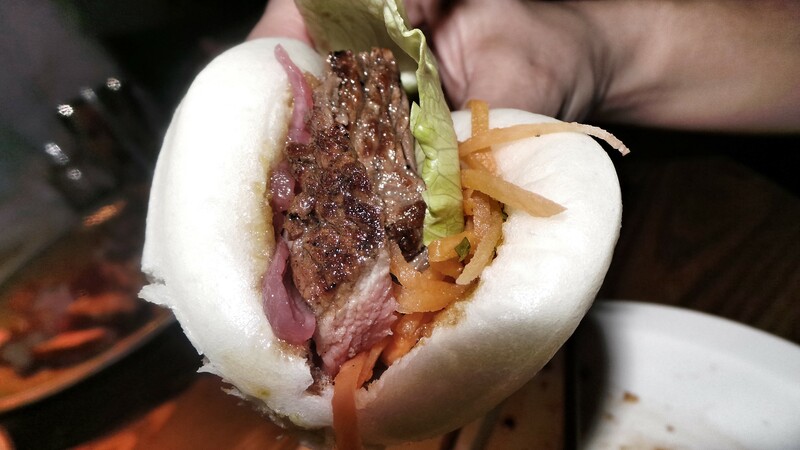 The focus of the menu at Flesh & Buns is hirata buns. A US-interpretation of a Taiwanese street food. The sweet and fluffy dough is folded then steamed before being brought to the table. Diners then stuff these pockets with their choice of ‘flesh’ (kinda like Asian tacos). Unlike at most trendy restaurants, it was incredibly easy to book and they were very understanding when I made changes to our group size. We were seated on time and did not have to WAIT too long for our food, especially with the refills of fresh buns. 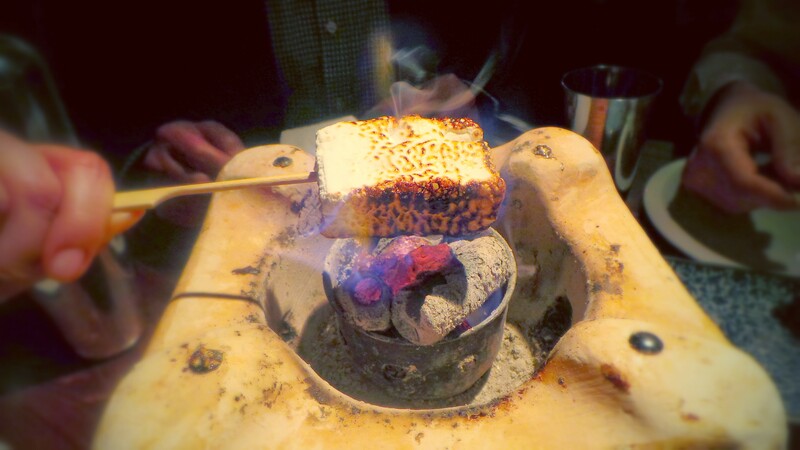 The food is great, but my favourite thing at Flesh & Buns is the tableside Green Tea Smores. 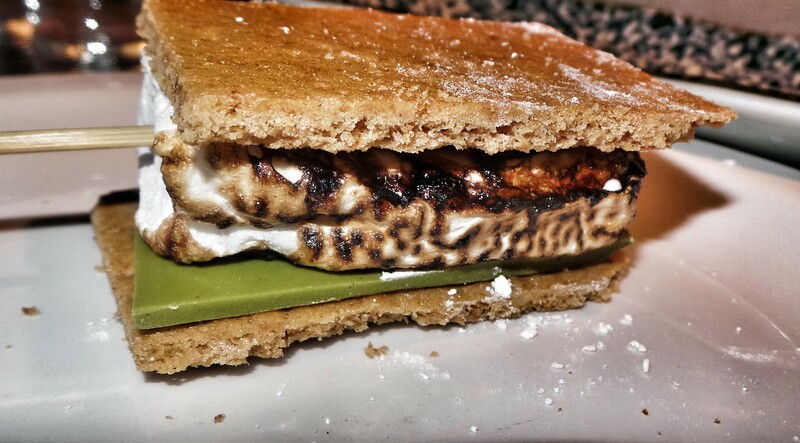 It was really fun explaining the American camp-fire tradition to those unfamiliar with it and I love having them with home-made graham crackers and green tea chocolate. Not to mention they are delicious!! The ENVIRONMENT at Flesh & Buns is perfect for group networking, but more so with friends than for a business-type event. Bottom line: AWE-some group dinners at Flesh & Buns.